In the spring of 2018 the leadership of Serve the People initiated a struggle against a rightist line in the league. This line expressed itself through the relation to and views on SOS Racism, as well as in the treatment of people within and without the league. The struggle is extensive and thorough. It takes on a long line of problems that can be grouped into two categories; methods of leadership and the political-ideological line. The struggle has led to big changes in the league’s leadership. We are sure that the struggle also will lead to great changes and progress in the time to come. This short and limited statement will not go into the details or every side to the struggle. The purpose of this statement from the leadership is to, on behalf of the league, take public self-criticism especially towards the people who have been unfairly and badly treated. We wish also to take a more general self-criticism directed to all who have been members or friends of the league, whether in Norway or abroad. The struggle has so far led to expulsions, suspensions and resignations, although a clear majority of the league has supported the struggle. The most important thing to note is the expulsion of a leading member, who was at the forefront of developing the line for work with SOS Racism and has been known to treat people in a deeply reprehensible manner. 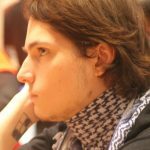 When communicating with the league’s contacts abroad, this person has continued to claim to speak on behalf of , even after their suspension and expulsion.This has been an important factor in our decision to publicize this expulsion. We urge our contacts to remain on guard for any future misuse of the league’s name. The suspension and subsequent expulsion is a result of the regarded person’s systematic manipulation and deception of those surrounding them. The person in question has caused bad blood between the league and former members and friends, as well as several other people, by among other things reckless and uncomradely behaviour on social media. One example is how the person has behaved towards young socialists on Facebook, with pushy and disrespectful behaviour. We have a great task ahead of us, attempting to mitigate some of the damages that have been done in connection to this. We are deeply sorry to have contributed to the person in question’s activities and having given this person unearned trust. We take deep self-criticism for this matter and we promise to make efforts to learn from our mistakes. Politically, the biggest mistake has otherwise been the politically naive and morally unjustifiable activity concerning SOS Racism. For example, we think it was fundamentally wrong to contribute to the organisation’s dependency on governmental funding, and the fact that it was very exposed to the authorities, media, police and fascists. This was a key factor to the enemy’s ability to create great damage with their attacks on the organisation, representatives and activists. We maintain that there has been a basic lack of self-critical evaluation of the work with and the process against SOS Racism. 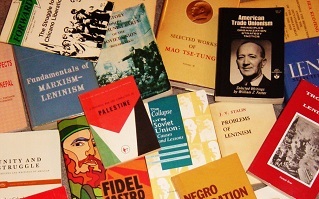 Neither SOS Racism themselves nor communist activists, have done any from of critical evaluation of their own work. The damage to the organisation has both internally and externally been depicted as a result of solely outer conditions (attacks from the outside). 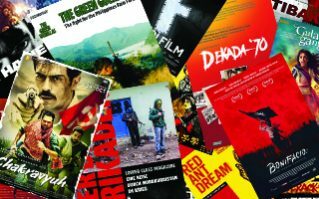 It is been made to look as if the choices made by leading activists and communists did not have any impact when the organisation went bankrupt and in praxis ceased to exist. As Maoists we maintain that it is fundamentally wrong to not look at the inner contradictions when you research how one is influenced from outside. As a main rule it is the inner contradictions that are principal in the relationship between external influences and internal contradictions. We maintain that the attacks on SOS Racism could only have had the effect that they did because of the decisions that were made within the organisation. Several activists from Serve the People were also activists in SOS Racism, and some of them contributed to some erroneous and very harmful decisions. This was not only the result of personal decisions, but also because of the organisation’s line. Our league therefore has a responsibility that we must be conscious of and self-critical about. We further maintain that as Maoists, it is principally wrong to not take self-criticism before the masses when one has made mistakes. Self-criticism is not only about learning from your own mistakes, but also contributing so that more can learn from them. Good communists do not shy away from public self-criticism, when this is in place. The rightist line in the organisation has gradually appropriated the word “Maoism” , but it has never practiced Maoism. It has only in word, but not in action, dedicated itself in serving the people. On the contrary it has shown itself to be a manipulative opportunism and through and through revisionism. With this we declare that we have broken with this line and are in the process of correcting our own faults and developing our work in accordance with the interests of the proletariat and the proletariat’s own ideology: Maoism. We ask friends in Norway and abroad to be on guard against the hostile misuse of the league’s name and funds. We know that misuse of resources that belongs to the league already has taken place, and there has been an attempt to render payment from others in our name. This does not surprise us, but we must ask people to carefully verify that it is actually the league they are in contact with – and not a false “representative” from us. 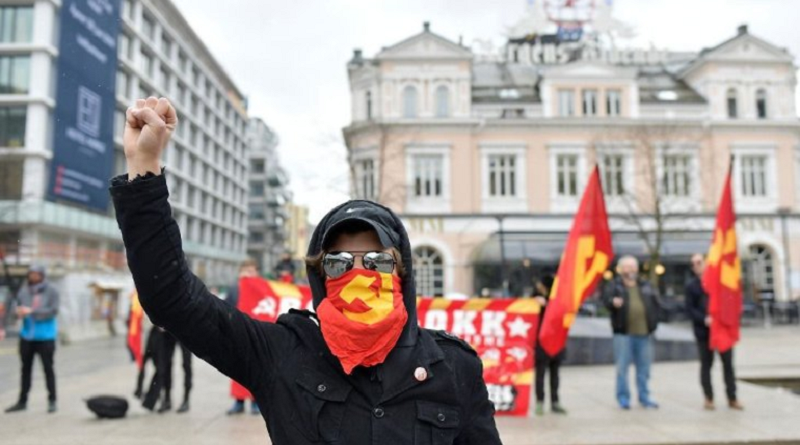 Serve the People – Communist League will officially communicate via Tjen Folket Media, with the website tjenfolket.no (and tjen-folket.no), the e-mail address post@tjen-folket.no and the facebook page Tjen Folket Media (facebook.com/tjenfolketmedia). If one is in contact with individuals or clandestine profiles, there is no sure way of telling if they are actually representing the league. Activists and individuals do not represent the league unless it has been formally declared. We do not have a public spokesperson and we do not have a mail address in Haugesund anymore. If one for the moment wishes to contact the league, you must do so via Tjen Folket Media per e-mail or the contact section on tjenfolket.no. In conclusion we repeat that this statement is only in regards to a small part of the correction campaign that the league is in the midst of. We will carry on several of the good sides of our work, which has mainly been carried out by those standing on the left side of the league for quite some time. But we will persistently work to improve ourselves and especially lift the masswork to a higher level. And we encourage all the friends of the league to contribute with criticism which can develop and improve us. Long live the struggle against the rightist opportunist line! Apply criticism and self-criticism without fear and wage the two-line struggle further! Forward the reconstruction of the communist party as a Maoist party! ← Umar Khalid: They can’t scare us into silence!